How do we address your privacy concerns? What are your professional fees? Do I need to create a user account at your websites to avail of a service? No. 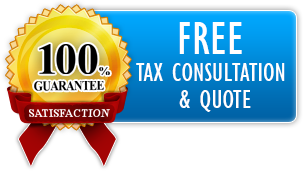 You may contact us directly or visit our offices in person to have your tax return prepared or services provided. However, we have also developed a Secure Client Portal as an ease to our international Clients. The Client Portal is available to everyone and enables you complete tax organizers, receive notifications, upload and download documents, pay invoices, and communicate with us in a secure environment. What if I lost my user account password? If you forgot the password for the user account you would need to select the reset password link in the login panel. You must answer all security questions and provide your Date of Birth to successfully reset your password. What if I cannot recover my user account password? If you cannot recover or change your password through the password reset link, you will need to contact us for assistance. We will ask you several questions to verify your identity. Once your identity is confirmed, we will provide you with a new user account password. What if I have a new email address? If you have a new email address, you will need to log in to your user account with your old email address to make the required changes. Once inside your user account, click the account settings icon and follow the change email address link. How long does it take to prepare a tax return or to render a service? We strive to complete a tax return preparation engagement with a Client within 2 business days as of the day we receive all required documents and information. However, depending on the scope of the service or project it may take us significantly longer to complete our engagement with you. Therefore, if we expect that it will take longer than ten days to have your tax return prepared or the services provided, we will explicitly agree on a deadline that suits your needs. What is your refund or fee waiver policy? We are committed to refund, reduce or waive our fee if you are not satisfied with the quality of our services. As the perception of quality varies, we consider that a service we have provided to you meets the quality standards if it is in compliance with the law and is free from defects, omissions, errors, deficiencies, or variations that affect stated or implied needs. Therefore, we will not waive our fee if for example, you are merely dissatisfied with the amount of your tax refund or liability, or if the legal treatment of a transaction or event, does not coincide with your expectations. We will also retain our fee if you fail to disclose a material fact or provide fraudulent, false, misleading, forged, or incomplete documents or information, all of which have an imminent impact on the quality of our services. Copyright © 2015-2019 Taxtake LLC, a Delaware Limited Liability Company. All rights reserved.